The world is a big place that need heroes in every corner. With Hell’s Kitchen hit hard – by crime, corruption, and the consequences of ‘The Avengers‘ – a man of wealth and power rises to take control of the darkness. But the Kingpin has a foe, another man who seeks justice and redemption – Matt Murdock, the man known as Daredevil! Daredevil has had many adventures but the story that gave birth to the TV series was Frank Miller’s and John Romita Jr’s ‘Daredevil: The Man Without Fear‘. 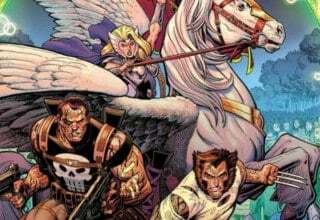 This series was originally Miller’s pitch for a movie that did not go through and was instead converted into a five-issue mini. The story explores Matt Murdock’s childhood and the origin of his Daredevil persona. 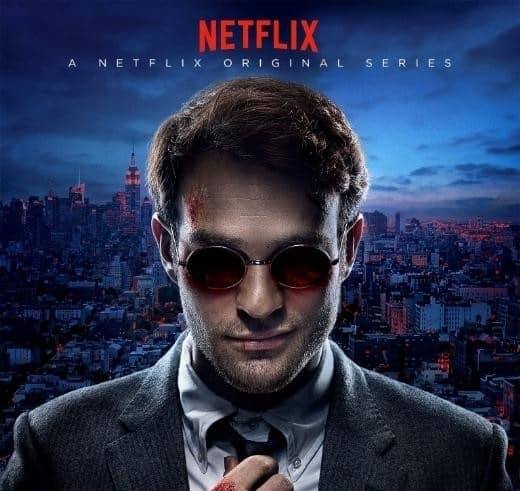 The show adapted the major plot points of the series such as Matt’s relationship with his father “Battlin” Jack Murdock and long time friend Foggy Nelson, the death of Jack and how that shapes Matt, his training with Stick, and Kingpin’s rise to power. The most visual contribution from the series is the all black costume Matt wears in the show. The comic mini series aimed to explore the darker side of heroism. The barely visible lines that separates the hand of vengeance from that of justice. The series served as a reintroduction to Daredevil’s and Kingpin’s origin. In the end we saw what kind of men they have become. We also see key elements of Marvel’s wider universe; Vondie Curtis-Hall plays Ben Urich, the investigative reporter who – in the comics – has been tied to the ‘Daily Bugle‘, and founded the ‘Front Line‘ newspaper. We even get an introduction to Stick, Daredevil’s mentor, who it’s hinted has been tied to the mystic sect behind the up-and-coming ‘Iron Fist‘ series. The Hand make their debut, but aren’t the main villains of the series. The series takes place at the beginning of Matt’s journey into becoming Daredevil. Charlie Cox’s hero comes across human traffickers, giving them a beating and getting one as well – a good introduction and a reminder of his vulnerability. Karen Page, played by Deborah Ann Woll, is also introduced as she uncovers part of a larger scheme for rebuilding Hell’s Kitchen by “the man who should not be named”. Once Daredevil saves her and Matt gets her out of some legal problems, she returns the favor by joining Nelson & Murdock Law Office as their secretary. The city is trying to rebuild itself since the “incident” (jump to the Impact on the MCU section for more). There are four crime syndicates/operations that are currently controlling Hell’s Kitchen: The Russians – Kidnapping, Madame Gao – Drug distribution, Nobu – restructuring of Hell’s Kitchen, and Leland Owlsley – Money launder/accountant. 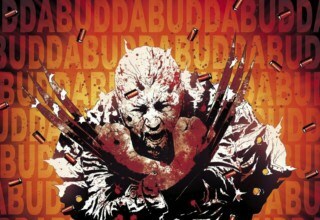 On top of them is “the man who should not be named” who has the vision to bring them all together, The Kingpin a.k.a. Wilson Fisk. While Foggy and Karen share a lot of time together, Matt as Daredevil continues his journey to becoming a hero by taking down the crime syndicates one by one, while building up allies – such as Rosario Dawson’s Night Nurse. They build an ongoing relationship as Matt will constantly need to be patched up. During his day time besides being a lawyer, Matt visits the church to get some clarity to his method of justice by talking to Father Lantom a reoccurring support cast in the show and the comics as well. He also goes and train at Fogwell’s gym which is the gym his father use to train as well. His father was a professional boxer who makes a few appearances in the form of flashbacks that show us what kind of man he was to Matt and how he instils principals that Matt lives by. Of course he only appears in memories as he met his end early on for not throwing a fixed fight. Later on, Matt does get a visit from his mentor Stick which ends with a bloody fight between them. Vincent D’Onofrio’s Kingpin has a journey as well, one that leads him to the love of Vanessa, played by Ayelet Zurer. While Daredevil takes out the syndicate, Fisk starts to lose his composure along with his allies. He is finally pushed to the edge when an assassination attempt is made on Vanessa. Eventually he focuses his anger towards Daredevil and sends Peter Shinkoda’s Nobu to take care of him, leading to the introduction of popular Daredevil villains the Hand. Fisk also targets Ben Urich due to his persistent investigation of Fisk’s past. The first season of this series comes to a conclusion with Matt and Fisk realizing what and who they have become. Matt finally dons the Daredevil costume in his final fight against Fisk. After the intense fight, Daredevil wins and Fisk gets locked up. Daredevil continues to protect Hell’s Kitchen. The show runners have shown that they have a grasp on the source material. It has the darker and gritty tones of Miller’s and Romita Jr.’s Daredevil: The Man Without Fear literally and figuratively. The show has the overall theme of how our actions define us and they do not come without consequences. You see that Matt and Fisk both make decisions throughout the series that leads them down to the conclusion. Watching the consequences unfold was thrilling and gut wrenching that left me eager for the next episode. My favorite aspect was that the show was telling the origin of 2 people who wanted to change their neighborhood. Not only telling the hero’s story but the villain’s story created a unique dynamic that had me caring for Fisk as well. The story is told in a linear timeline that feels like a 13 hour movie that kept me captivated. The fight scenes were amazingly done and helped keep the street level feel. The cast was great as they provided humors, emotions and purpose. Stan Lee’s cameo in the series is a lot different from his other ones as he does not physically show up. In an episode, there is a shot of the police station where at the front desk a photo of Stan Lee as a police officer on a plaque is hanging on the wall in the background. This one can easily be missed if viewers are too focus on the scene. Well played Daredevil show runners! The ‘incident’ that has ravaged Hell’s Kitchen was the Chitauri invasion in ‘The Avengers‘, and rebuilding has become a priority; there are allusions to a change in culture, and to Thor and Iron Man. ‘Daredevil‘ forms the first in a series of Netflix shows, aiming to introduce Luke Cage, Jessica Jones, and Iron Fist, then tie them together as the Defenders, a street-level team who will feature in their own series. 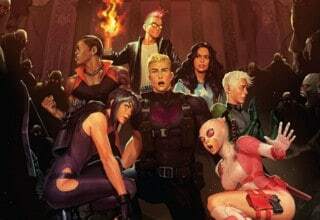 The success of the first series of ‘Daredevil‘, meanwhile, has led to a second being swiftly confirmed, while rumours circulate that the Defenders will appear in ‘Avengers: Infinity War Part 2‘. 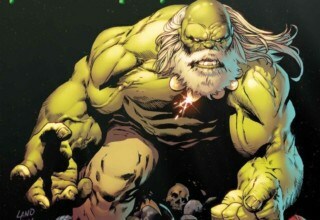 There are small tie-ins to ‘Agents of S.H.I.E.L.D.‘, with both Matt and Skye growing up at the St. Agnes Orphanage, and mention of ‘Crusher’ Creel, the Absorbing Man who appeared in ‘Agents of S.H.I.E.L.D.‘ Season 2. I will be keeping an eye out for a mention of Matt or any of the characters from Daredevil in Agents of S.H.I.E.L.D. ‘Into the Ring‘ – The introductory episode sets up the concept, introducing us to Matt Murdock and Daredevil. ‘Cut Man‘ – Badly injured, Daredevil finds he needs the help of the Night Nurse. ‘Rabbit in a Snowstorm‘ – Taking on a dodgy case, Matt first hears the name ‘Wilson Fisk’. Meanwhile, we are introduced to Fisk as he encounters Vanessa. ‘World on Fire‘ – As the Kingpin goes to war against the Russians, with devastating effect on Hell’s Kitchen, Daredevil finds himself drawn into it. ‘Condemned‘ – Framed as responsible for the bombings, Daredevil manages to get some more clues out of Vladimir before escaping from corrupt cops. ‘Stick‘ – Daredevil’s old mentor comes to town, in an episode that explores the character’s history. ‘Shadows in the Glass‘ – Daredevil and his friends prepare for the coup de grace against Fisk, but he beats them to it, going public in a way that cunningly disarms his enemies. ‘Speak of the Devil‘ – Daredevil is drawn into a trap by Fisk, and – while defeating Nobu – is beaten almost to death. ‘Nelson v Murdock‘ – With Foggy now aware of Matt’s secret identity, the practice splinters. ‘The Path of the Righteous‘ – Daredevil begins to plan, while his friends learn the truth of the Kingpin’s history – and Karen is drawn into a shocking act. 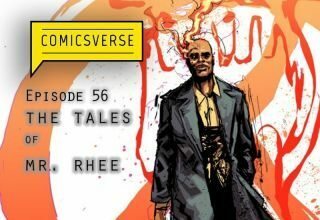 ‘The Ones We Leave Behind‘ – Ben Urich exposes Fisk, and pays a terrible price. ‘Daredevil‘ – The epic conclusion, with all the threads tied together! 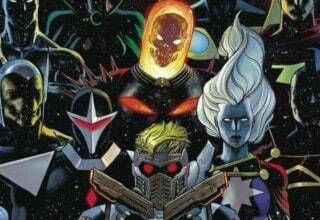 Guardians of the Galaxy is revisited here! 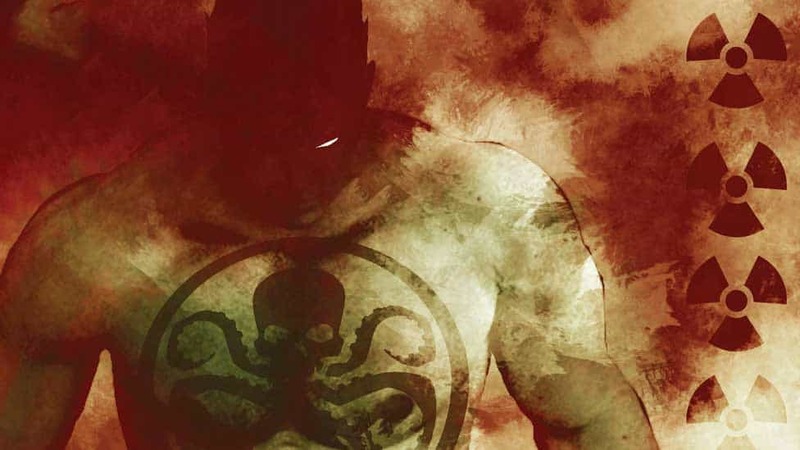 Have you been keeping up with Agents of S.H.I.E.L.D.? Revisit season 2 here! For more from Christian, click here! Previous article Iceman is Gay. And That’s Fine. Maestro Brings Chaos in Future Imperfect #1! 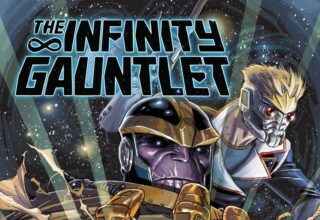 The Nova Corp is Back in this INFINITY GAUNTLET #1 Preview!